In the midst of the turbulence and change of the 1960s, black students at Johns Hopkins University sought to strengthen their unity and identity. By 1966, when Baltimore native Douglas Miles enrolled as an undergraduate student at Johns Hopkins, he had already witnessed the Montgomery bus boycott and the integration of Little Rock’s schools, and had heard the Rev. Martin Luther King Jr. share his dream for racial justice at the March on Washington. Shaped by that history, Miles and others joined main organizers John F. Guess and Bruce Baker in 1968 to establish a Black Student Union at Johns Hopkins. While similar groups had already formed at other university campuses, students at Johns Hopkins found their initial requests for official recognition rebuffed. University administrators expressed concern that this student union would be seen as hostile and divisive. Led by Guess and Baker, the BSU was officially recognized in 1969. Today, Miles continues to serve as a prominent community and civil rights leader in Baltimore. Now a bishop, Miles pastors at Koinonia Baptist Church and is a co-chair of the advocacy group Baltimoreans United in Leadership Development (BUILD). With a train ticket in hand and dreams in mind, Kelly Miller headed north from South Carolina in 1880 and into a life as a successful mathematician, college dean, author and education advocate. 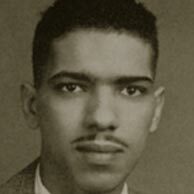 Along the way, he became Johns Hopkins University’s first black student. Born in 1863 to a free man and a slave woman, Miller drew inspiration from what he saw as his own “band of heroes,” northern teachers who had come south to teach black children after the Civil War. A scholarship allowed Miller to attend Howard University, which in turn led to a part-time job with prominent mathematician Simon Newcomb. After Newcomb became a Johns Hopkins faculty member, Miller sought his assistance in pursuing graduate studies at the university. His application to graduate school in 1887 prompted the college president and trustees to consider the founder’s Quaker background and his commitment to a hospital and university open to all. Miller’s application served as a mirror, forcing university leadership to confront their values and principles, and though there would be many years between Miller and the next black student, Miller’s admission helped open the door for all students of color at Johns Hopkins. Although financial circumstances prevented Miller from completing a JHU degree, he returned to Howard, earned a master’s degree and a law degree, and built an illustrious career. 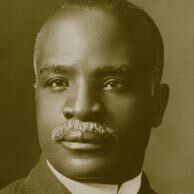 Never forgetting his “band of heroes,” Miller himself became one, a tireless supporter of quality education for blacks. He died in 1939. Moore, Westley “Wes” W. O. At the same time that the local media were telling the story of Wes Moore, on his way to Oxford University as the first black Johns Hopkins University student to become a Rhodes Scholar, they were telling another story, too. This second story, which attracted far greater media attention, was of another Wes Moore, a young man from the same neighborhood, almost the same age, but this one was headed to prison to serve a life sentence for killing an off-duty police officer. Struck by the difference in their destinations, Moore the Rhodes Scholar sent a letter to Moore the inmate and a relationship grew, ultimately forming the foundation of The Other Wes Moore, a New York Times best-seller published in 2010. Even before his book catapulted him to national attention, Moore was on the path to success. After graduating with a bachelor’s degree from Johns Hopkins in 2001 and studying at University of Oxford as a Rhodes Scholar, he became a U.S. Army Reserve captain and completed a combat tour of duty in Afghanistan, helping to manage the American strategic support plan for Afghan reconciliation. Back home after his tour, he was soon appointed a White House fellow and served as a special assistant to former Secretary of State Condoleezza Rice. A stint as a senior associate with Citi Investment Banking followed, and Moore now works as the host of Beyond Belief on the OWN network. Moore is a member of the university’s board of trustees. He also continues to impact Johns Hopkins through an organization he founded, called STAND, which is based at Johns Hopkins and provides services and inspiration to Baltimore youth involved in the criminal justice system. The Black Faculty and Staff Association (BFSA) came together, as so many advocacy groups do, over lunch and a conversation. Lunch was at the Polo Grill, then a restaurant across from Homewood Field, and the people who had gathered to talk were black senior staff members concerned about the lack of support for people of color at Johns Hopkins. Toni Moore-Duggan, one of the participants, recalled how that lunch and subsequent discussions among the staff members led to their decision in 1995 to establish the BFSA. “After graduating from Johns Hopkins and while working there, it became evident that there was no voice or forum for black people having difficulties here,” said Moore-Duggan, a certified nurse practitioner who worked at the institution for years. strong but has expanded its mission: to help foster a culture of collaboration by promoting and enhancing the identity and professional welfare and growth of faculty, staff and students through collaborations, community service, education, research and cultural activities. The BFSA has also charged itself with being a crucial resource for the continued success of Johns Hopkins through the development and cultivation of relationships with key leaders of the institution. 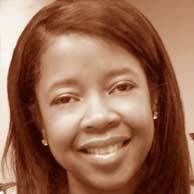 Toni Moore-Duggan is a certified nurse practitioner who worked at Johns Hopkins Hospital in HIV/AIDS vaccine research. 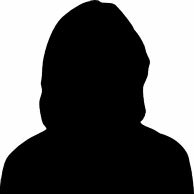 She also worked in the trauma unit of the hospital’s emergency room and at the Student Health and Wellness Center. 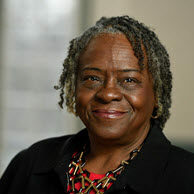 After leaving Johns Hopkins, Moore-Duggan worked extensively with individuals in and leaving the prison system, as well as those struggling with substance abuse and living with mental illness. In her present position, she administers clinical services for Mosaic Integrated Health, a program based at Mosaic Community Services Inc., in Baltimore. When he was a freshman in college, James Nabwangu read an article in Life magazine about how difficult it was to gain entry to the Johns Hopkins School of Medicine. Nabwangu didn’t know at the time that the school had never accepted a student of African descent. He simply viewed attending Johns Hopkins as another potential challenge in his life. He had already overcome the challenge of moving from a rural village in West Kenya to attend college in Indiana. And he had already proved wrong a college counselor who told him that despite his outstanding high school academic record, he was not well-suited for a career in medicine or the sciences. Nabwangu did, indeed, contradict the naysayers, and in 1967 became one of the first two blacks—and the first African—to graduate from the Johns Hopkins School of Medicine. Although he could not get a haircut or eat in restaurants around the school, Nabwangu enjoyed his time at Hopkins. He found that many of his classmates did not know what to think about his African heritage. He , also found that the university supported him when a Kenyan ambassador attempted to prevent his study of neurosurgery because of Kenya’s need for generalists not specialists. After Johns Hopkins, Nabwangu moved to Canada for postgraduate studies at the prestigious Montreal Neurological Institute. A fellow of the Royal College of Surgeons of Canada and a diplomate of the American Board of Neurological Surgeons, Nabwangu currently practices neurosurgery in Rapid City, South Dakota. David G. Nichols was literally born into education – on the campus of the Hampton Institute in Virginia. He then moved to Germany at age 7 when his father, an English professor and Fulbright Scholar, accepted a position at Freie University. Nichols knew even at that young age that he wanted a career in medicine. As life would have it, his career has focused on both medicine and education. 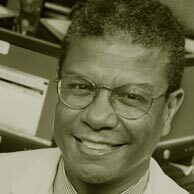 Nichols joined the faculty at Johns Hopkins in 1984 and in 2000, he was named vice dean for education at the School of Medicine. In this role he oversees undergraduate, graduate, residency, postdoctoral, and continuing medical education programs, and the Welch Medical Library. His initiatives include increasing the use of technology in teaching medicine, reforming the school’s curriculum, launching a collaboration to build an academic medical center in Malaysia, supporting the recognition of education in tenure and promotion guidelines, overseeing the design of a new $50 million Armstrong medical education building and enhancing diversity. In addition to his administrative post, Nichols is the Mary Wallace Stanton Professor of Education and a professor of anesthesiology and critical care medicine. He has been the editor-in-chief of leading textbooks in pediatric critical care medicine and has edited Rogers Textbook of Pediatric Intensive Care and Critical Heart Disease in Infants and Children. Lynnise Norris is not one to shy away from difficult conversations. An accounting supervisor in the university’s finance division, she relishes her job tracking all of the government funding the university takes in for research and education. When she’s not crunching numbers, Norris is thinking up ways to help improve the plight of her fellow Blue Jays. For that, her colleagues and fellow members of the Black Faculty and Student Association (BFSA) are grateful. Owens was employed at Hopkins at a time of great change. The university went co-ed while he was there and the complexion of the campus started to change. In his admissions role, he had a hand recruiting a number of African American students to the school. Owens is reluctant to take sole credit for his work. It was a collective effort among all the admissions officers, as well as the administration, faculty, staff and the students themselves, he said. While his work focused on students of color, Owens’s approachable style made him a favorite among students of every hue, as was evident when white students on campus asked him to be the coach of their G.E. College Bowl team, the national radio and TV quiz show that aired in the 1950s and 1960s. Owens was an early achiever. 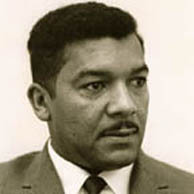 In 1952, he was awarded a Ford Foundation Scholarship to Morehouse College where, at age 16, he enrolled for two years. He earned his undergraduate degree at Arkansas AM&N. In 1959, he was drafted into the U.S. Army, and later honorably discharged. Now retired, Owens is as proud of his time at Hopkins as he is about the career he built for himself after he left the university. While working full time at Hopkins, Owens attended the University of Baltimore Law School where he was named Notes & Comments Editor of the University of Baltimore Law Review, making him the first African American to hold the position. After obtaining his degree, he joined the Baltimore City State’s Attorney’s office as a prosecutor. He then became assistant city solicitor before serving as legislative assistant to former Maryland Gov. Harry Hughes. Around this time, he returned to Hopkins to serve as a pre-law advisor to upperclassmen considering careers in the legal field. 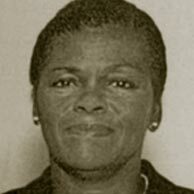 In 1980, Owens was appointed associate general counsel of ACTION, a federal volunteer program. He retired in 1994 as associate general counsel for the Peace Corps. Diseases rise and fall from public attention. Sickle cell, for example, is no longer in the forefront of the news, but the excruciating bouts of pain it causes are at the center of the lives of 100,000 Americans, most of them African American, and their families. In 2008, the leadership at Johns Hopkins opened the Sickle Cell Infusion Center to address the needs of adults living with sickle cell disease. That same year Nicklaine Paul moved from Connecticut to Baltimore, joined the center’s staff and began making a positive difference in the lives of its patients and workers. As the lead clinical nurse at the Sickle Cell Infusion Clinic, Paul is known for her depth of compassion and empathy and for her dedication to ensuring that the center is both efficient and patient-centered. admissions and readmissions for adults living with sickle cell disease. Paul presented the center’s successes at a national meeting of the Sickle Cell Disease Association of America, and her presentation generated interest from other centers throughout the country that would like to create similar models of care. The nursing care policies and protocols Paul developed for treating sickle cell patients in acute pain are now used as a model for other similar clinics at Johns Hopkins and in other institutions throughout the United States. Beyond policies and protocols, Paul models for other staff the kind of attention and support patients seek. Many patients at the Sickle Cell Infusion Center have said that Paul is the first nurse who truly understood their disease and was able to make them feel safe and comfortable in the midst of a pain crisis. 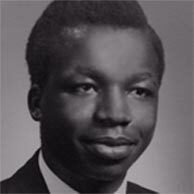 As a student at the University of Notre Dame, Percy A. Pierre helped integrate restaurants in South Bend, Indiana. As a higher education administrator, he continues to ensure better integration of the engineering field. Since becoming the first black student to earn a doctorate in electrical engineering at Johns Hopkins University in 1967, Pierre has built an illustrious career. 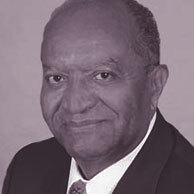 In addition to being highly regarded for his research in signal processing, he has served in a wide range of government and higher education administrative posts, including White House fellow, dean of the College of Engineering at Howard University, assistant secretary and acting secretary of the Army, president of Prairie View A&M University and vice president of research and graduate studies at Michigan State University. As a professor of electrical and computer engineering at Michigan State, Pierre created and directs the Sloan Engineering Program. This initiative recruits, mentors and helps fund domestic engineering doctoral students, with a focus on underrepresented groups. 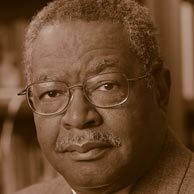 Pierre is particularly well-known as the architect of a successful national effort to increase the number of minorities in engineering. He works with the National Academy of Engineering and the Alfred P. Sloan Foundation, which awards grants to support original research and education in science, technology, engineering, mathematics and economics. For more than 30 years, Ed Roulhac lent his expertise to the growth of Johns Hopkins. He joined the university in 1978 as the first assistant dean for students and continuing education at the School of Public Health, from which he holds a Master of Public Health degree. In 1986, he moved to the provost’s office, where he guided and directed expansion of the university’s Washington, D.C. Center and was the founding director of the Johns Hopkins Montgomery County Campus. From 1993 until his retirement in 2011, Roulhac served as the university’s vice provost for academic services, with broad academic planning oversight and stewardship for advancement of JHU’s academic programs and key health professional service centers and institutes. In addition, he managed several university-community partnerships, including the Johns Hopkins Urban Health Initiative and K-12 education outreach programming. However, it’s her role as voice instructor to students of all ages at Johns Hopkins Peabody Preparatory that Rowe counts among her proudest roles. “At Peabody, it’s about working with people at all levels to help them not only develop their vocal skills but their musical skills as well.” It’s also about giving back in recognition of those who were instrumental in her development as an artist and music educator. A native of Wilson, N.C., Rowe grew up singing in church where she sang her first solo at the age of 3. During high school, she studied and performed in Los Angeles, California. She went on to receive an undergraduate degree in music education and a masters and doctorate in vocal performance. 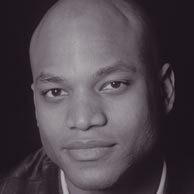 Along the way, Rowe received a music fellowship from opera singer Leontyne Price and began a teaching career that would span more than three decades and include stints at the University of North Carolina at Chapel Hill, Aspen Music School, Vanderbilt University, and Morgan State University. Rowe cites her former students who have earned graduate degrees in voice from Yale University, the Julliard School of Music and New York University as success stories. These students have gone on to professional careers performing with the Washington Opera, the Opera Theatre of Saint Louis as well as Off Broadway. Rowe’s career extends beyond teaching voice. In addition to being on Peabody Prep’s faculty for the past 13 years, she is a member of the Black Faculty and Staff Association. A specialist in Integrated Arts Education, she works in Baltimore and throughout Maryland with students in grades K-12 teaching youngsters about African American history through language arts, music, dance and improvisation. Working as a consultant for the John F. Kennedy Center, Rowe has helped to create programs that have had an impact on arts education in the United States. Most recently she developed a summer program for youth at the Hosanna School Museum, a historic site that was the first public school for African Americans in Harford County Maryland. Deborah Savage arrived at Johns Hopkins in 1993 not knowing of the impact she would have on campus. Working on the Homewood campus, she performed a number of roles from serving as the IT manager for Student Technology Services to helping people with disabilities along with faculty, staff, and especially students, navigate the fast-moving digital landscape, including what was then known as the World Wide Web. Before long, Savage found herself seeking a way for the university’s custodial and food service workers to benefit from the same tech training that was being offered to other Hopkins employees. With the approval of university leaders, she was able to start a training program for the workers in the form of a weekend pilot program run by the BFSA. It is this work that Savage is most proud of. But it is the light she shined on employment disparities and general uneasiness among black faculty and staff at JHU that she holds dear to her heart. In addition to her IT work, Savage served on a number of committees and working groups, including those to improve services for the disabled. She is also a past president of the Black Faculty and Staff Association where she led the group’s annual back-to-school clothing drive and Juneteenth celebration. As head of the BFSA, Savage hosted women’s luncheons, roundtable discussions and meetings with the university’s leadership. 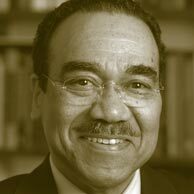 A three-term president of the BFSA, Savage was instrumental in securing annual meetings with the university’s presidents to discuss inequities in hiring and retaining African Americans. Those meetings continue to be held every year. On many occasions, Savage’s work extended beyond the public to the private. It was not uncommon, she says, for faculty and senior staff, to confide in her their feelings of isolation as one of few people of color on campus. Ever patient, Savage would offer wise counsel telling her colleagues to stay strong and be patient. Sometimes she would say nothing. “We would just walk,” she said. She became the go-to person for black faculty and staff. The Black Faculty and Staff Association (BFSA) came together, as so many advocacy groups do, over lunch and a conversation. Lunch was at the Polo Grill, then a restaurant across from Homewood Field, and the people who had gathered to talk were black senior staff members concerned about the lack of support for people of color at Johns Hopkins. Toni Moore-Duggan, one of the participants, recalled how that lunch and subsequent discussions among the staff members led to their decision in 1995 to establish the BFSA. “After graduating from Johns Hopkins and while working there, it became evident that there was no voice or forum for black people having difficulties here,” said Moore-Duggan, a certified nurse practitioner who worked at the institution for years. At first, Moore-Duggan said, she and the other staff members were not sure if anyone would buy into efforts to create a forum for people of color, but they did. Seventeen years later, the group is not only going strong but has expanded its mission: to help foster a culture of collaboration by promoting and enhancing the identity and professional welfare and growth of faculty, staff and students through collaborations, community service, education, research and cultural activities. The BFSA has also charged itself with being a crucial resource for the continued success of Johns Hopkins through the development and cultivation of relationships with key leaders of the institution. Vernon Savage, now retired, was the director of outreach for the JHU Counseling Center. He served two terms as president of the BFSA. During his first term, in 1998, Savage began the process of opening the organization to faculty and staff on the East Baltimore campus. Savage’s personal history is one of losing and then finding his direction. After graduating from Baltimore Polytechnic Institute, he worked at a variety of jobs and in the Marine Corps Reserve. During this time, he became involved in drug dealing and was imprisoned. With hard work, however, he turned his prison term into a time of growth: He began taking college classes, met a mentor who challenged him to succeed and earned an associate’s degree and a Ford Foundation scholarship for continued higher education. Out on parole, Savage earned master’s and doctoral degrees in clinical psychology and began a career in psychology and higher education administration that spanned more than three decades. Growing up in Baltimore, Frederick Isadore Scott rarely encountered an idea he didn’t want to explore or an authority he was afraid to challenge. 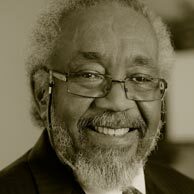 Born in 1927, he found that the city offered him limited opportunities but provided great support through its close-knit black community. As a student at Frederick Douglass High School, then one of the city’s two public high schools for black students, Scott asserted his ideas about justice by joining political groups, attending labor meetings and coordinating letter-writing campaigns to oppose segregation. After he graduated from Douglass, his friends assured him that he couldn’t gain entry to the undergraduate program at Johns Hopkins. They dared him to try. He did and he got in. 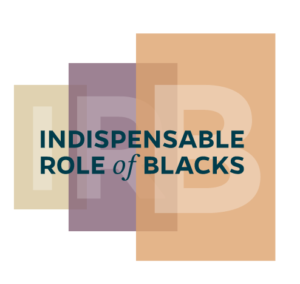 No other blacks had ever applied to the undergraduate program, according to the university registrar. The pressure to succeed and the change in culture were intimidating, but not intimidating enough to stifle Scott. Beyond simply going to classes, Scott dared to change the campus culture by serving in the school’s Honor Commission and helping to found Beta Sigma Tau, the first interracial fraternity in Baltimore and the first to forbid any form of hazing. Although Scott’s education was interrupted by his stint in the Army during World War II, he returned to graduate from Johns Hopkins in 1950 with a degree in chemical engineering. His career included several years as an engineer for RCA before serving as an editor for scientific and trade journals, including American Laboratory. Over the years, he remained close to the university, helping with recruitment and alumni issues. An alumni group formed to address racial tensions on the campus even adopted his name, calling itself the Frederick Scott Brigade. Fred Scott died in 2017. 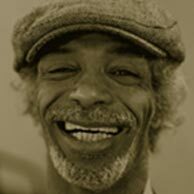 Gil Scott-Heron described himself as a blues scientist, a “bluesologist.” Others describe him as an influential poet, musician, recording artist, author and social critic. He is renowned for his spoken word compositions in the 1970s and 1980s, and his best known works include “The Revolution Will Not Be Televised,” “Winter in America” and “Pieces of a Man.” Throughout his career, he and his collaborators took strong social and political stands, crafting works that fused jazz, blues, soul and other musical styles. Scott-Heron earned a master’s degree in creative writing from Johns Hopkins University in 1972, though he had never completed an undergraduate degree. He passed away in May 2011. The exhibit is a work in progress. If you would like to nominate someone for inclusion on the website, please send an email to bfsa@jhu.edu.